New additions from the Cosmic Ark! FedEx delivered this huge box of goodies yesterday, straight from my pal, John (AKA jboypacman), at the Revenge from the Cosmic Ark. We worked out another trade and I’m pretty sure we both got what we wanted, which is always the goal of a good trade! This Pac-Man tabletop arcade game from Coleco was the one item I was REALLY excited to get in the trade. I have been looking for one of these to add to the collection for a long time, and my patience finally paid off. I remember playing one of these as a kid, and vintage arcade-related items are always fun to find (and it still works!). This HUGE Godzilla figure is so great! The only markings on it are “Made in China.” Any Godzilla collectors out there who can tell me a little more about it? I tried to look it up but there are millions of different Godzilla toys out there! 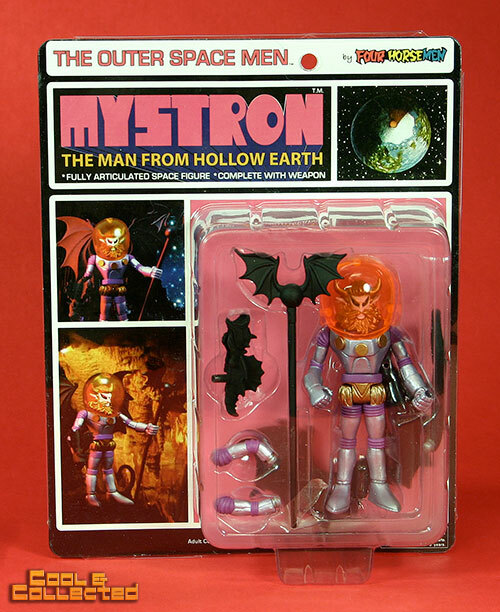 I’ve also wanted to buy some of the Outer Space Men figures by the Four Horsemen for a while, but I just never got around to it. These figures are so great, and the retro packaging and design is awesome. 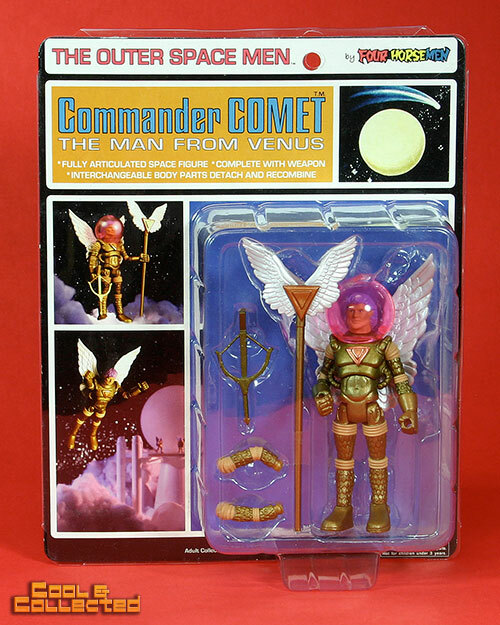 I was surprised to see how small these space men are–I must never have seen a comparison shot before, but I assumed these figures were 6-8″ tall, similar in scale to the original line of Matt Mason figures. These are going to be fun figures to photograph! A huge thanks to the Cosmic Ark for helping me clear out some items, and providing me with some “new” fun toys! No problem buddy and I just the package you sent minutes after I talked to you. Nice scores! What’s the Frankenstein? Looks like one I had a long time ago. That Frankenstein was produced by Imperial in 1986. They did a full line of Universal monsters along with the King Kong (that’s on the World Tour!) and Godzilla toys too. That jogged some memories buried way down! I might need to grab one of those for my collection! Thanks for the jolt of nostalgia! I don’t really know much about the Godzilla, but I did have one that was almost exactly like yours. Mine didn’t have the spines on the back or tail though. 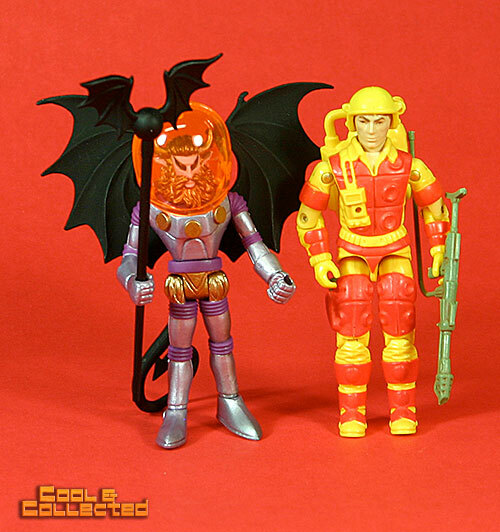 I have no idea if this is from the 80’s or fresh off the store shelves. It seems like it might be older but I have no clue. Love that Pac-Man arcade! I got lucky and found that and a Galaga one at a thrift store about 10 years ago (back before they hiked up the prices to match ebay prices… ugh!) Very fun! Glad you got one! Hey, what kind of photo shooting setup do you have? Very basic. I use two regular 60w cfl bulbs, one on each side, and a flourescent shop light overhead. I shoot with the camera on a tripod and use a remote trigger switch. I haven’t been using a light box or anything fancy lately. I found these large rolls of colored paper at the teaching supply store, and they have made the photos much more exciting than plain old white or black. 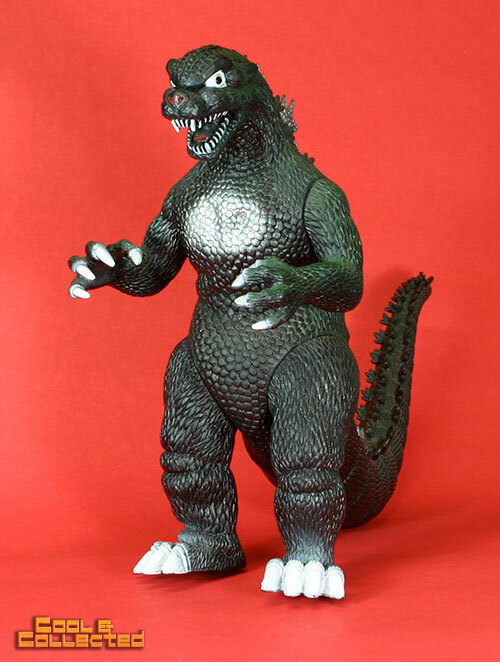 I’m checking with my Godzilla collector peeps about that thing…it looks like the Imperial version, but it’s not – the sculpt is different (better, really – I wouldn’t mind finding one of these myself). I found this recent ebay auction that looks pretty darn close, but the paint scheme is different. The seller didn’t know what it was either. I used to have that Pacman arcade game as a kid and I have been wanting one for a while. Great score Brian. Have fond memories of getting it for Christmas one year and getting in trouble with my mom for playing it at 6am on a Saturday morning. 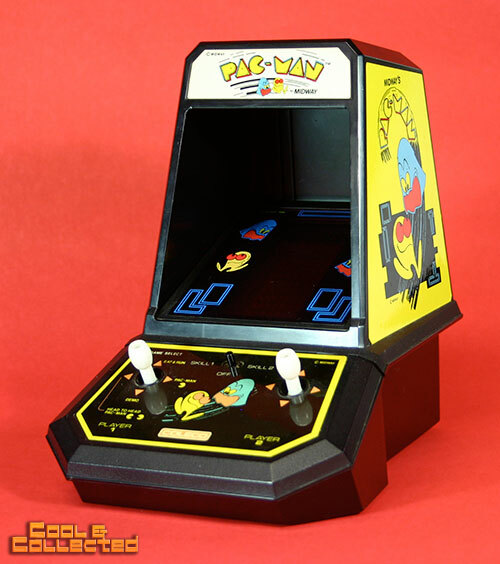 i remember my first handheld Pac-man game was called Packri monster — I still remember the beeps and sounds of that game! 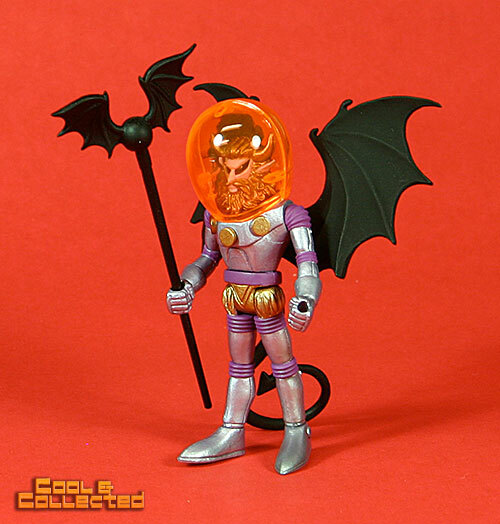 Those outer space men are terrific. In fact the whole package is terrific. I love that Pac-Man – THEY MAKE A GALAGA??? Now that was my game. 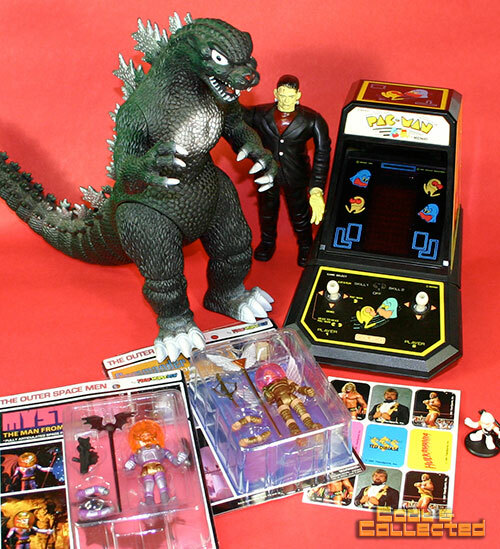 I have that same godzilla toy, I purchased it from a goodwill. My daughter loves it. Still don’t know much about it.